The CasITa-to-5k graduated from the Couch-to-5k training program this morning at the Children's Cancer Research Fund (CCRF) Kids 4 Kids 5k RUN/WALK. 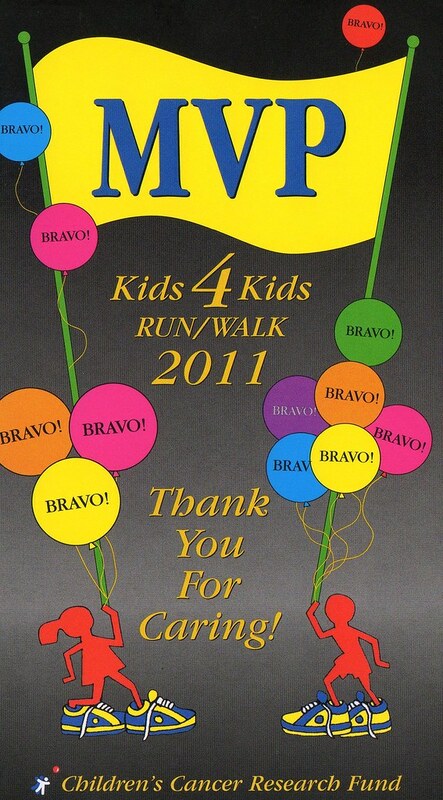 The race benefited the Children's Cancer Research Fund (CCRF). The CCRF is a non-profit organization dedicated to providing national support for pediatric cancer clinical research and improving the medical environment for all children. Raadio Disney provided the pre-race entertainment. 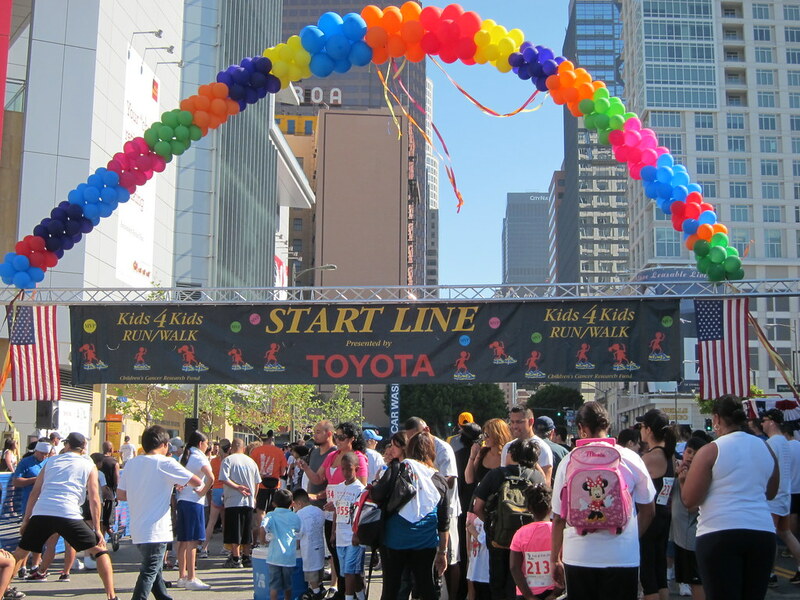 The Start Line was in front of L.A. Live, across from the Staples Center. Davis Gaines from The Phantom of the Opera performed the National Anthem. By the time the race started at 10:00, it had warmed up significantly. The course was fast and flat but there were stretches with no shade to provide respite from the intense sun. The route looped so the first time around, you were forced to run past the Finish Line. We took multiple walk breaks and tried our best not to overheat. We poured cups of water on ourselves to cool off. We managed to sprint the last quarter mile to the Finish Line. According to Mr. Green Garmin, we finished in 41:18. 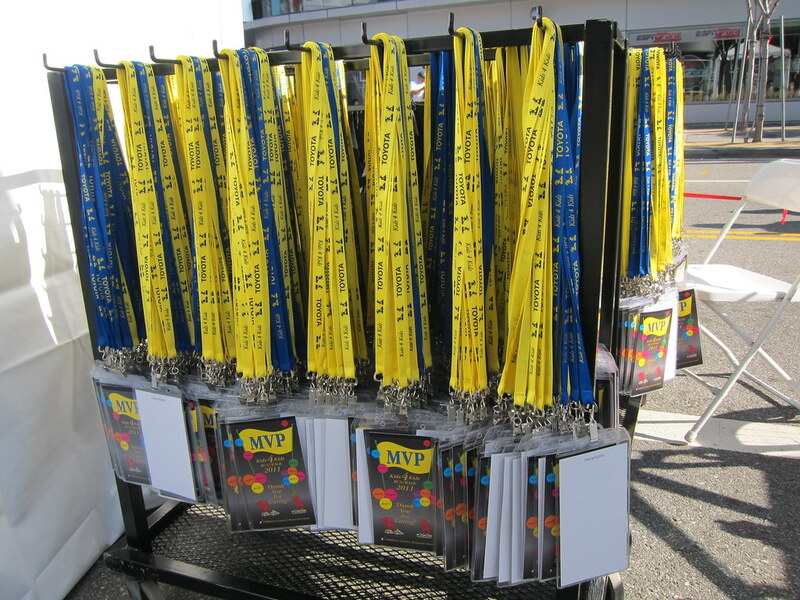 We received an MVP Finishers Flyer with a section for autographs on the reverse side and a reusable goody bag full of candy, snacks, and sports nutrition. I was pleasantly surprised by the All Star Carnival. 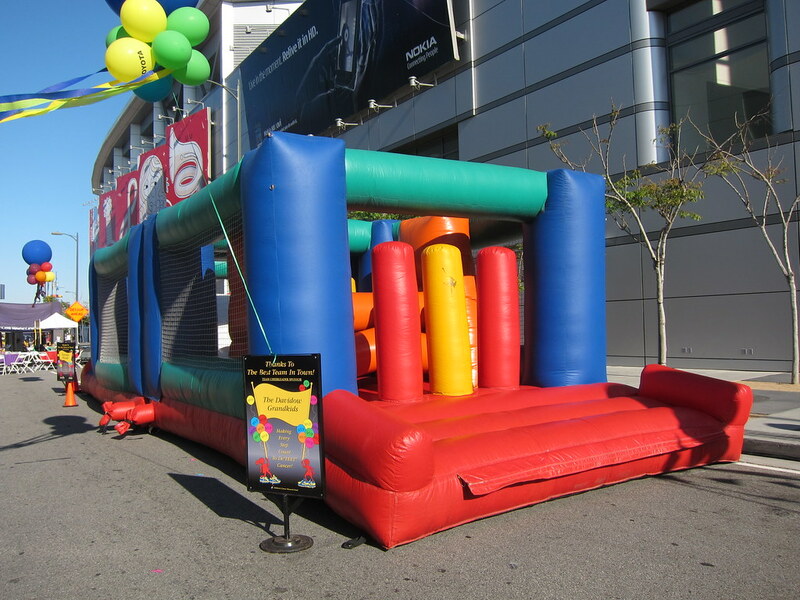 It featured several carnival games, multiple bounce houses and mazes, a giant slide, a Ferris wheel, and a swinging pirate ship. There was also an arts and crafts booth where you could make art to be given to children in the hospital. The Yum 4 My Tum food court featured food from In-N-Out. The race was extremely well organized and there were lots of volunteers. The course was clearly marked and there were ample support staff at all times. It was great to see so many families with small children participating in the race. I saw a number of strollers with bibs pinned on. Numerous runners had pictures of the child they were honoring on the run printed on their shirts. 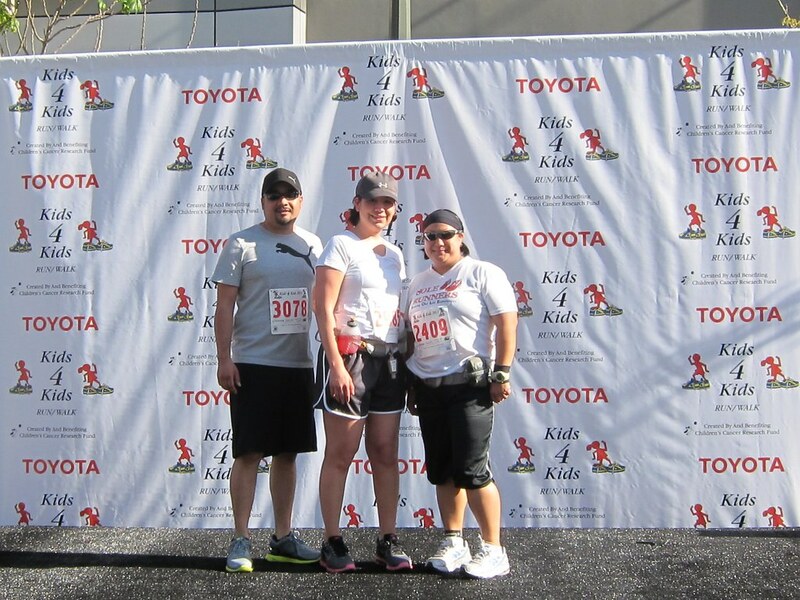 It was the perfect graduation day for CasITa-to-5k. What a great Dr Seuss quote. Looks like a great race even with the heat. Well done to all the graduates...and The Green Girl! Lovely race for such a good cause. What a fun family event, I bet the kids had a blast there. In N Out is my family's favorite whenever we are in California or Arizona. I can't stomach it myself...well, the fries are good :). 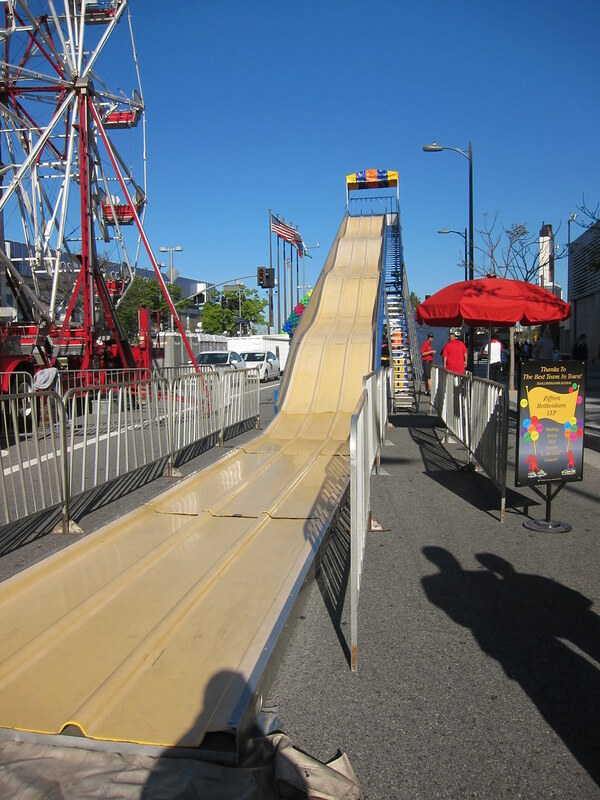 Why don't more races have carnivals at the finish? What an inspired idea! What a great looking event. Great cause and they did it right. Except for the 10:00 a.m. Start. You are an inspiration and remind us that racing for something bigger than us is what it is all about! That looks like fun - I love the big slide! That looks like it was SO fun! What a great end of the race! I agree - more carnivals!! Looks like a great event. And you have sun shine, I would have killed to see the sun last weekend. A 10am start? That's tough. I tried to run at 10am last Friday and barely made it. Still...looks like a great event!